What does one do when they’ve run out of things to do on a Thursday night? Hit up Netflix, of course. Feeling uninspired by the options in front of her, one Avfueler settled on World’s Weirdest Homes—entertaining at least. 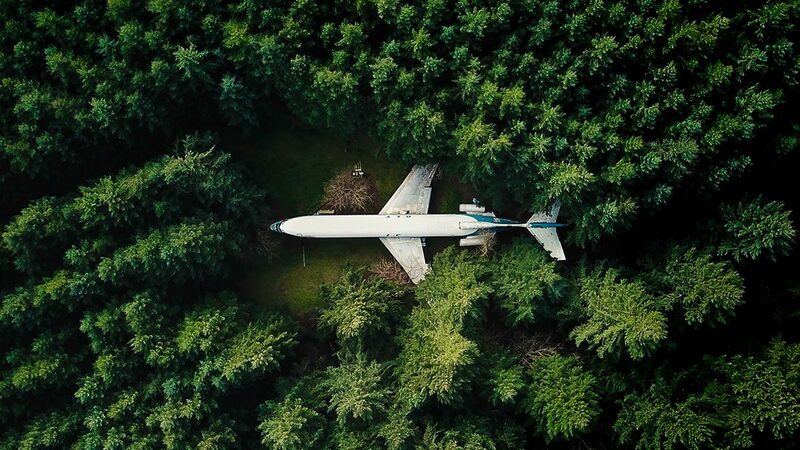 To her surprise, claiming one of the top spots was a decommissioned B-727 in the woods of Hillsboro, Oregon (pictured above). The owner—a former pilot—has largely left the jet-now-home unchanged, keeping it an open-concept floorplan with minimalist living accommodations (a little too close to “roughing it” for our tastes). But it got us thinking—what else have people done with de-commissioned planes? Here’s where we turned from Netflix to Google. We were not disappointed. Yakovlev 42 classroom. Image via Inhabitat. To start, Complex.com yielded a list of 20 planes converted into other facilities. This included an MD-80 and DC-9-41 turned into adjoining living spaces in Brookshire, Texas, including a master bedroom, bathroom, kitchen, theater, music room, and arts and crafts room (a little more our speed). In New Zealand, a 1950 Bristol Freighter plane from Vietnam has been converted into a two-unit motel. Another B-727 was converted into a home in Benoit, Mississippi, complete with a Jacuzzi in its cockpit. At Coventry Airport in England, a DC-6 plane was converted into a posh diner. 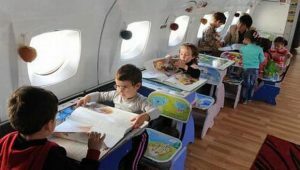 In Rustavi, Georgia, you can even find an unused Yakovlev 42 transformed into a kindergarten classroom. But if recycling whole fuselages into other buildings isn’t quite your style, you’ll be happy to know there are plenty of other ways decommissioned aircraft have been put to good use. For instance, MotoArt is a company that specializes in turning aircraft parts into high-end furnishings—they’re products are useful pieces of art, really. 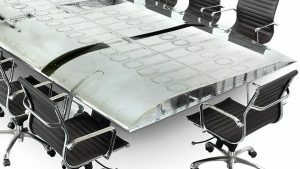 The company creates tables, bars, desks, beds, lighting, nose art and more for aviation enthusiasts to own a piece of history. 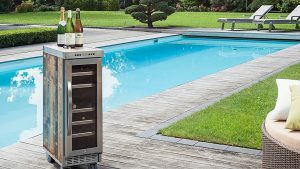 Similarly, Skypak specializes in transforming trolley carts into chic storage solutions for the home, including bar carts and coolers. Coverings, etc., creates BIO-LUMINUM (TM) out of 100% post-consumer recycled aluminum from reclaimed aircraft to create tiles for walls, back splash and in industrial designs. 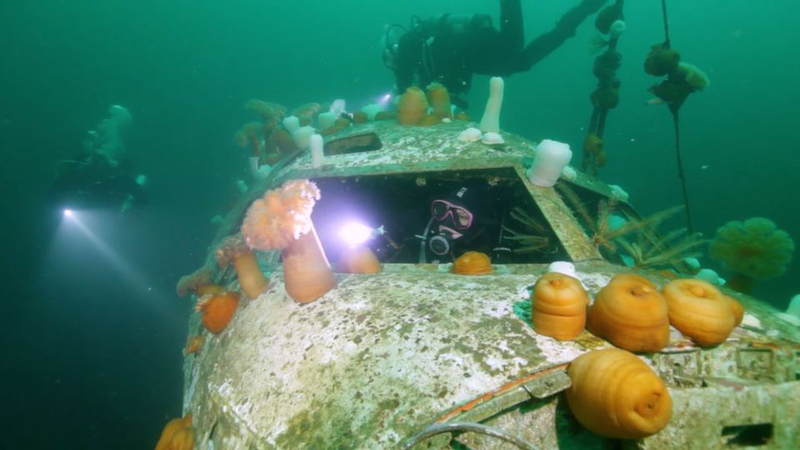 Also with the environment in mind, a B-737 was stripped and sunk off the shores of British Columbia to create the province’s first artificial reef, helping the ocean’s ecosystem to thrive. A B-737 off the shores of British Columbia makes for a great artificial reef. While as aviators it can be disheartening to see fields of decommissioned aircraft long past their former glory, it’s fun and inspiring to see how those with a passion for aviation can give new life to the aircraft that served us so well. It’s just one more aspect of aviation that we can celebrate.